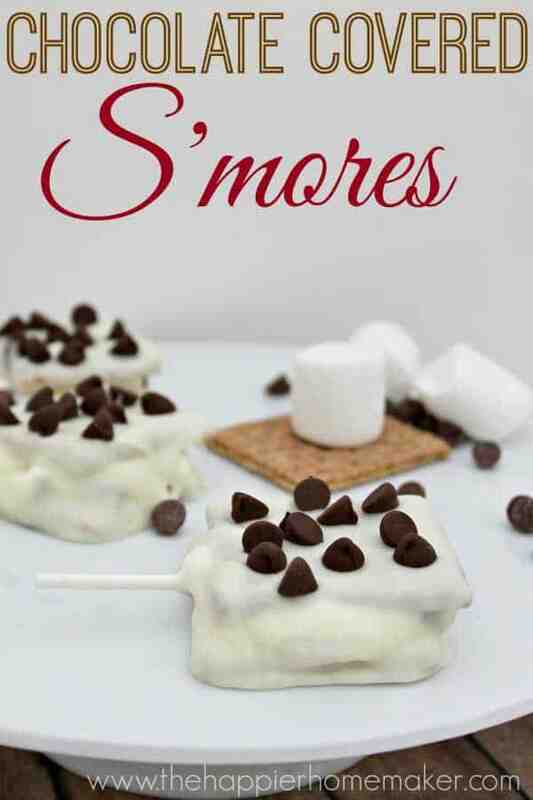 We’re big on s’mores at our house, I think we have them at least once or twice a month. At our home in North Carolina we had a great yard with a fire pit to roast our marshmallows over but here in DC we’ve had to improvise a bit. 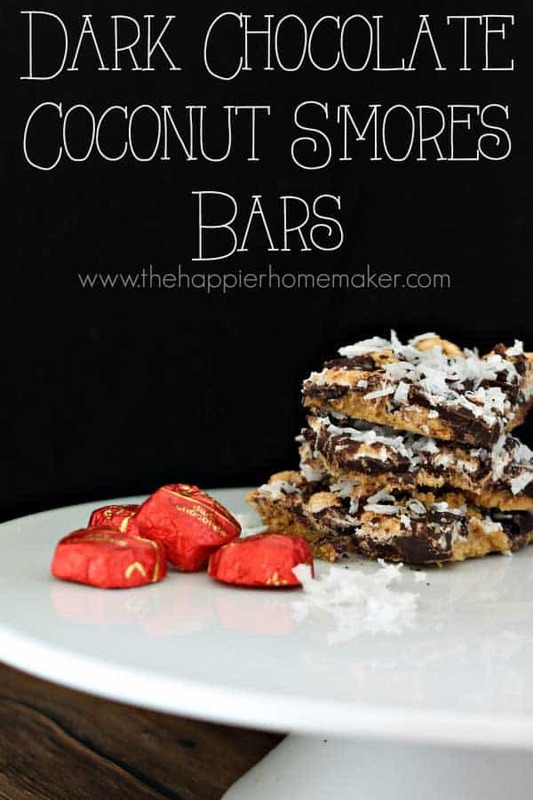 I was dying to try making them in the oven and my family was happy to taste test for me. The result? 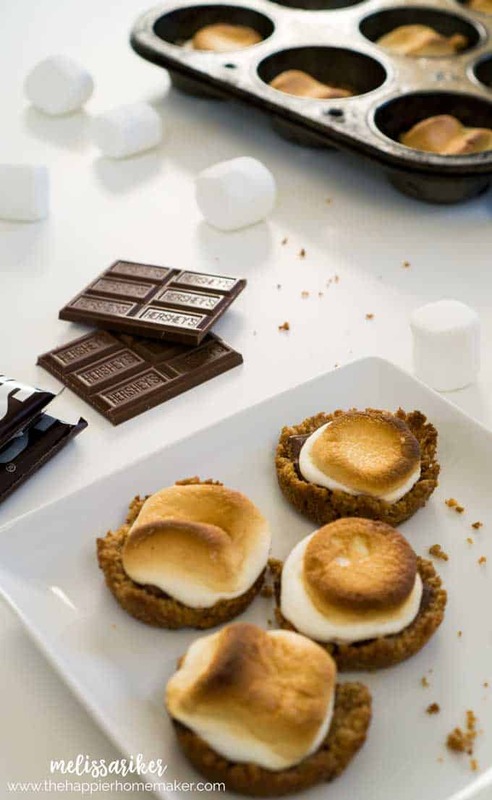 These delicious little Indoor Baked S’mores Bites are AMAZING. 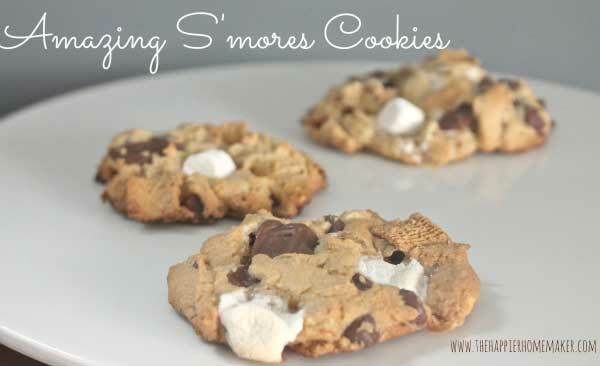 I dare say I like them even better than traditional s’mores…it’s true! Give them a try, I’d love to hear what you think! In a medium bowl combine graham crackers and powdered sugar, stir to combine. Pour melted butter in mixture a stir well. Spoon graham cracker mixture into the bottom of greased muffin pan (about 2 tablespoons each.) Pack graham cracker mixture down firmly in the muffin pan to pack. 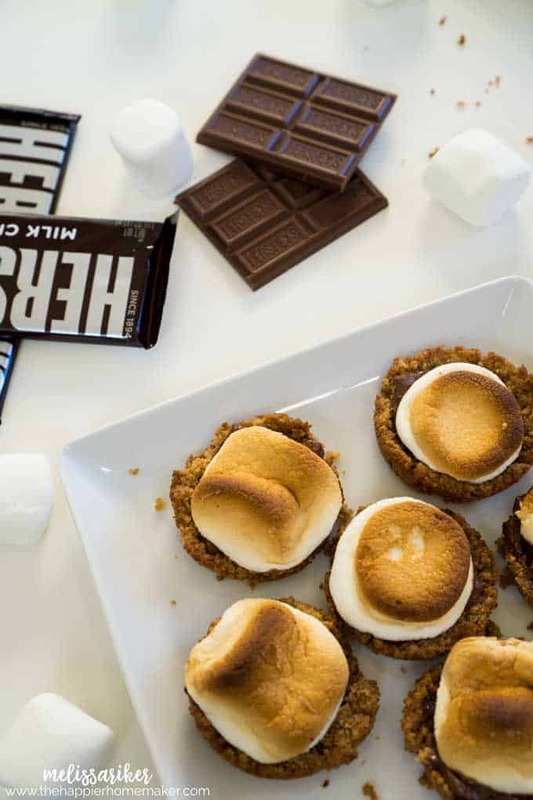 Here are a few more s’mores recipes you might like! I have used my cast iron skillet to make s’mores inside. 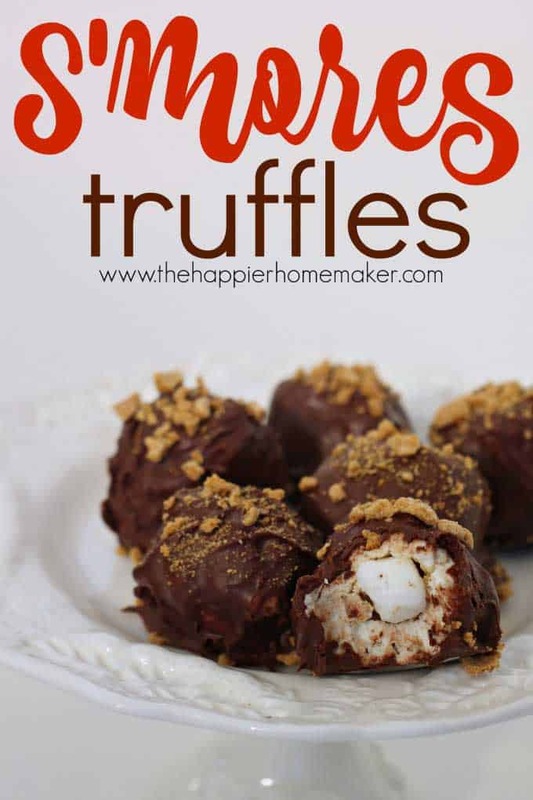 I just arranged the chocolate pieces in the bottom, topped it with marshmallows & put it under the oven broiler. 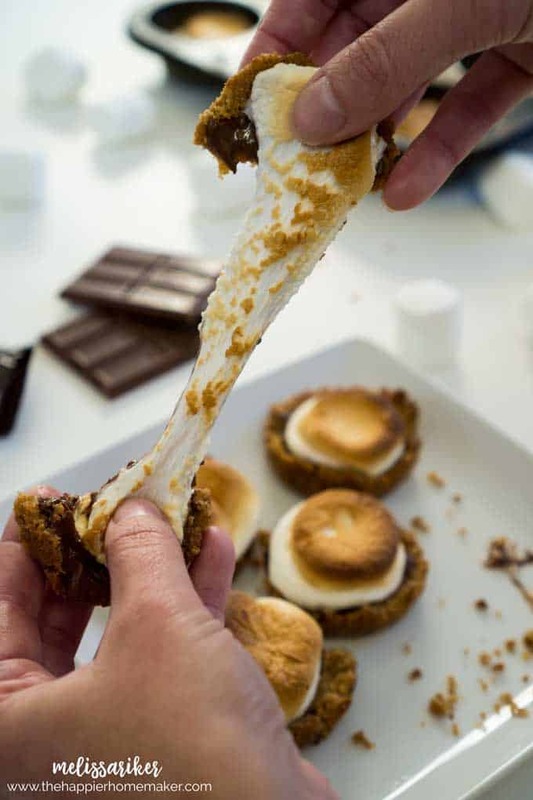 Once it was nice & brown, we let it cool slightly before dipping our graham crackers into the gooey goodness. You should have seen the 6 of us piled around that cast iron skillet! I’ll have to try it Alicia, did you have any trouble with anyone burning hands on the skillet or anything?